If you’re currently looking at ways to spruce up your home in preparation for putting it on the market, you already know just how many options there are. You can choose to either update your appliances, invest in new exterior siding, remodel the kitchen or master bathroom, or resurface your floors: all are great options and all will bolster your home’s marketability. However, if you’re looking for a cost-effective, relatively simple option that can dramatically transform a space, a fresh colour in the key areas of your home can go a long way in boosting your home’s visual appeal. 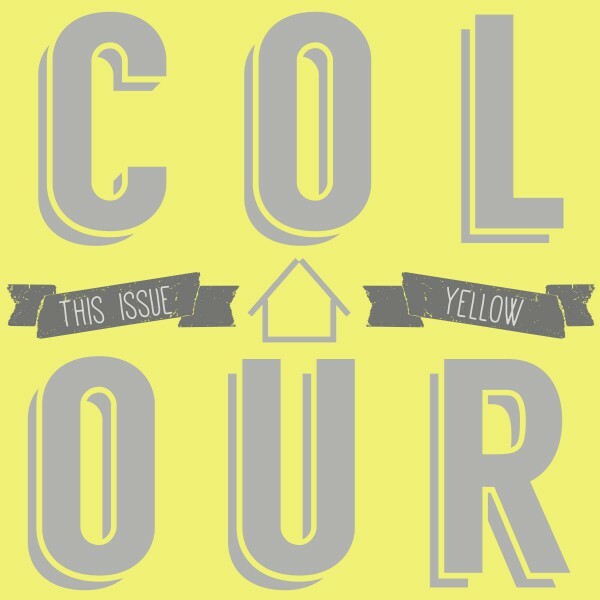 In this issue, we’re going to focus on yellow, and its ability to brighten a space and keep things looking fresh any time of the year. Consider the above image of a kitchen with dark cupboards, stainless steel appliances, and a pastel shade of yellow on the walls. This combination achieves an excellent balance between light and dark elements, and grants the space with a sense of freshness and warmth. The decorations on the shelves are a nice touch, but certainly aren’t necessary; if you don’t have the space in your kitchen for such things, try including a decorative canister set, small plants, or bowls/containers with a decorative arrangement of kitchen items (lemons, limes, bananas, utensils, etc.). 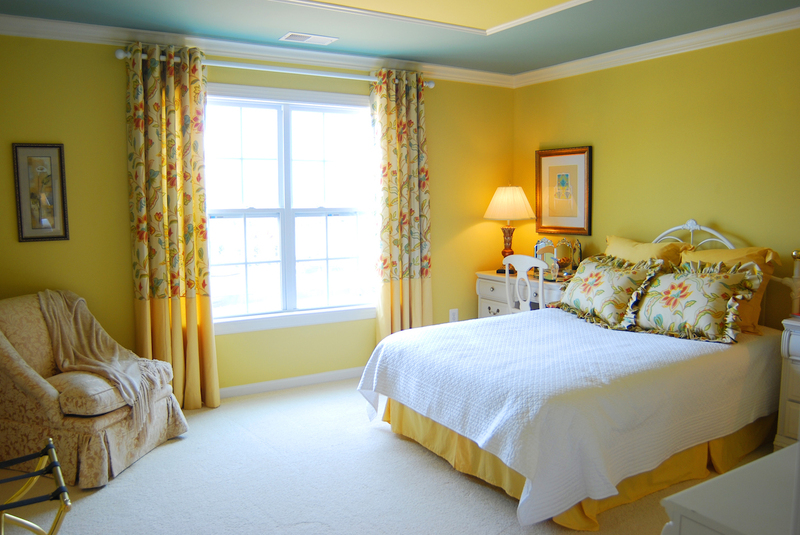 The next example of how the colour yellow can be implemented in your home is the above picture of a bedroom. 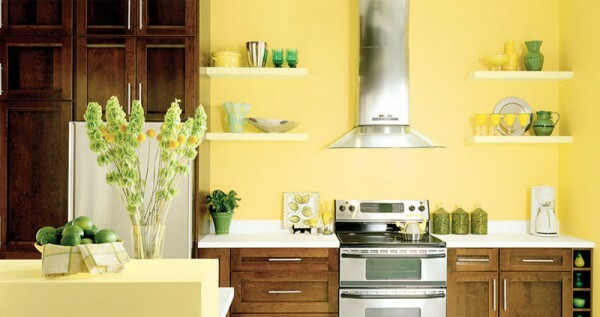 This colour scheme differs from the previously discussed kitchen in that it chooses to pair yellow walls with predominantly white surroundings. In a space with a large source of light, such as this one, the pairing of yellow and white help to create a very serene area: an effect perfectly suited for a bedroom. The floral elements also play very well with the dominant colour and reinforce the Spring/Summer notes evoked by the yellow walls. Also note the painted ceiling; very often ceilings are left white, but the addition of a coloured ceiling can really aid in giving a space a more complete feeling. Finally, we see once again how the colour yellow can add to the visual appeal of a space in the bathroom pictured above. In much the same way as the colour pairings affected the bedroom, this bathroom, too, benefits from the combination of white and yellow. The ample natural light helps to keep the area fresh-feeling during the day, and the chosen shade of yellow will also help ensure the space is still warm and inviting during the evening. Also keep in mind that, even if you’re content with your home’s current colours, a small addition of yellow can go a long way: a yellow plant, towel, picture frame, pillow, lamp, or vase can be a great way to add a splash of colour. All in all, yellow is an incredibly versatile colour, whether used as a pastel or in a more vibrant form. It can be paired with either light or dark furnishings and will keep your home looking stylish and inviting. Also, keep in mind that yellow pairs well with shades of blue, brown, and purple, among others.